Spain is one of the top international travel destinations in the world, and rightfully so, but what many do not know is that this historic and eclectic country has so much more to offer than the mainland alone. Just off the eastern coast of Spain and approximately 125-miles south of Barcelona’s tourism hub, there is a small group of islands sitting pretty in the middle of the Mediterranean Sea – the Balearic Islands. The largest of these is Mallorca, where pristine anchorages meet lively ports and stories past meet modern flair. Get a glimpse of what a Mallorca charter vacation is like through the lens of professional sailor and frequent Moorings charterer, Simon Shaw. Watch the video below to see just some of the splendors that he and his family encountered while cruising around the island of Mallorca. Whether you’re an adventurous spirit hungry for an exhilarating adrenaline-rush or the low-key type who yearns for more leisurely vacation activities, Spain’s island of Mallorca is chock-full of memorable shore excursions for travelers of all taste preferences. A popular stop is Palma Cathedral – also known as La Seu Cathedral – the crown jewel of Mallorcan architecture. An evening tour provides a perfect photo opportunity, as the cathedral looks especially impressive when lit up. The most efficient and enjoyable way to learn about Palma de Mallorca’s incredible history and soak up all the must-see attractions at the island’s capital is by way of guided bicycle tour. The leisurely-paced biking tours usually last about 3.5 hours, with various stops along the way. Nearby are many other delightful stops, including a number of shops, fine restaurants and signature tapas bars. For foodies, a specialty tapas bicycle tour may be in order. One of the most unique day excursions that Mallorca offers visitors is a guided tour of the Caves of Drach in Porto Cristo. Not only is this one-of-a-kind underground boat journey illuminated, but it also becomes a musical experience because the magnificent sounds from live concerts carry through the walls of the caves. The Caves of Drach create the perfect underground adventure – and a wondrous treat for the senses. Swap your flip-flops for some comfortable and supportive footwear in preparation for a day of guided hiking through Torrent de Pareis canyon. Trek your way across mildly rugged terrain, spot local wildlife, and feast your eyes on mesmerizing panoramic views. Hot air balloon rides are a popular activity for visitors and locals alike, providing awe-inspiring aerial views of the dazzling white-sand beaches and lush pine-tree forests below. There’s simply no better way to bask in Mallorca’s unique and majestic landscape. For the self-proclaimed foodies and olive fans in your group, a tour of a local olive oil farm is a must if you’re interested in learning about the traditional oil pressing process and of course, tasting some of the local goodness. 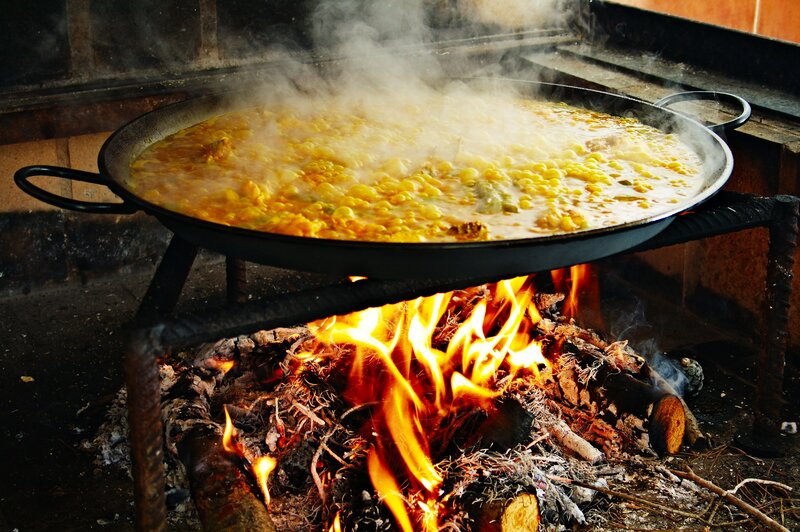 Or, since locals in Mallorca traditionally enjoy paella on Sundays, try a “market to mouth” paella tour, complete with shopping for authentic local ingredients and informal cooking class. Step aboard the Vintage Train from the station at Palma’s Plaza de España then sit back, relax, and take in the splendid views of the beautiful Mallorcan countryside. The train travels through the Tramuntana mountainous region and passes through 13 tunnels for the ultimate scenic railroad passage. Mallorca is a fruitful wonderland for wine connoisseurs and wine lovers from all across the globe. Choose from a number of wine tasting excursions, including but not limited to – a train gourmet tour, a bike and wine tour, and a tailor-made wine tour by bus. Visit Mallorca’s Forestal Park for some family-friendly adventure and exhilarating fun. Climb through nets, cross rope bridges, and whizz down ziplines, all with expert guidance and safety instruction from onsite professionals. Stop daydreaming about capturing your own Five-Star Palma de Mallorca retreat. It’s your turn to indulge, and dazzle your senses like never before by way of a premier yacht charter vacation with The Moorings.